Gameloft will soon be releasing an adaptation of Marvel’s Iron Man 3 for iOS and Android, and in anticipation of the release, the developer has come through with a short, cinematic teaser trailer. It’s not long before the Iron Man 3 hits cinemas, and with the box office puppeteers now seeing significant value in bringing supplementary mobile titles out alongside the blockbusters, Gameloft has been tasked with creating the title for what will undoubtedly be one of the biggest movie releases of 2013. 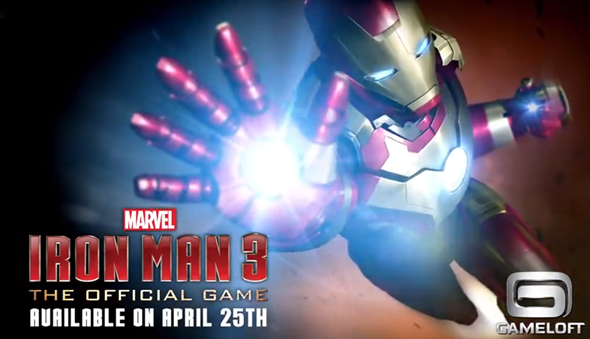 The Iron Man 3 game will arrive on 25th of April – just a few days before the movie launches in the first week of May. 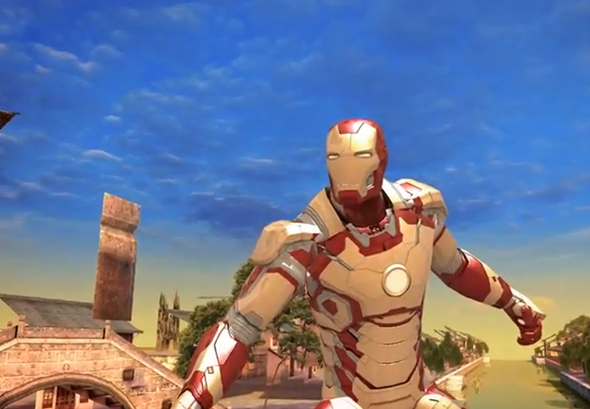 The title is supposed to be releasing for both iOS and Android in a simultaneous fashion, although having seen many such releases end with the Android version being delayed, probably best to wait until the release date before dressing up in your Iron Man suit and waving your Nexus 4 around like a madman. If you’re an Iron Man fan, you certainly won’t want to miss the flick, and by the same token, a true fan will also want to snap up the game when it lands over at the App and Google Play Stores late next month. The title will drop a few hints here and there, but if you’re planning to download in order to uncover some of the events contained within the movie, you’re likely to be disappointed. That said, it will serve as a nice little appetizer before the main event, and with Shane Black as producer and stars including A-Listers Robert Downey Jr., Guy Pearce and Don Cheadle, movie fans will be expecting big things from this very big movie release. Make sure to check out our Android Apps gallery to explore more apps for your Android smartphone or tablet, and also our iPhone Apps Gallery and iPad Apps Gallery to explore more apps for your iPad and iPod touch.